No April Fools bad jokes on Gamersyde as you probably know by now that it isn't what we do. 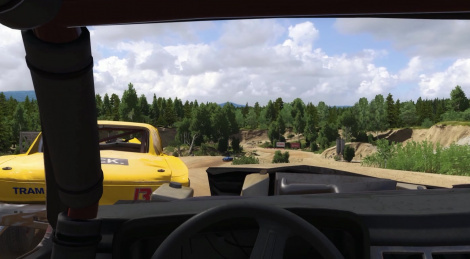 On the other hand, we have a few more Wreckfest videos to share inside. Enjoy! 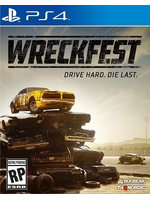 It's more like the original which I loved because of its deep unforgiving handling, when I played wreckfest a while ago it was a little more forgiving than the original but still preferable to over the arcadey Flatout 2. The only good thing from the flatout series was the party game side mode. I always thought the driving was pretty budget game feeling. I'm hoping this, whenever it decides to release actually has a similar mode. The driving model wasn't very complex, in that it didn't model a large number of physical systems, but what it did model (the crucial bits imo) it did well and gave the player total control over it (at least on sim mode). On most driving games on the most realistic settings, even games like Dirt Rally, I feel like there's still some hand holding going on. That feeling of total control, where only player input matters, over a dynamic physics based system is unique and when done right not only is very engrossing but it also conducive to skill amelioration which is always very satisfying. Trials is another example of a game that gives you total control over a physics based system, rocketleague another.